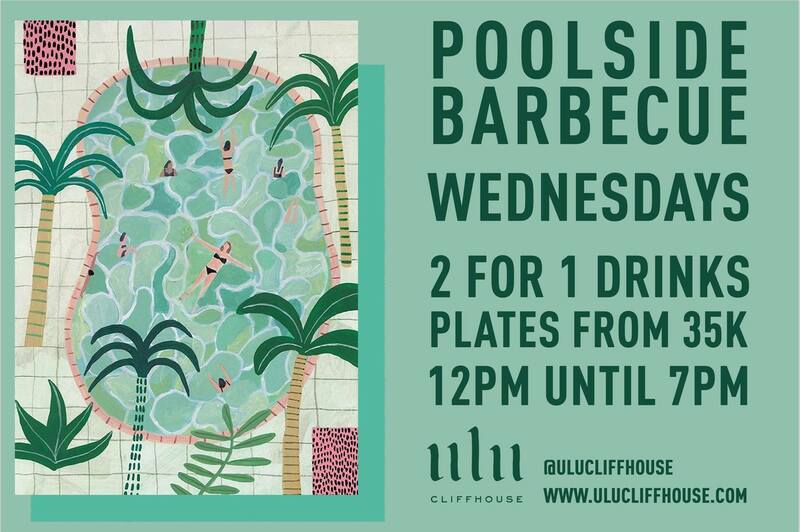 Wednesdays Poolside Barbecue at Ulu Cliffhouse! Ulu Cliffhouse cranks up the poolside barbecue with Chef Ben offering tasty weekly specials with plates from only 35k and 2 for 1 cocktails all day + buckets of beers and cider on offer. Resident DJ Laws on Earth to cool your grooves by the pool, Ulu Cliffhouse humpday has suddenly become our favourite day of the week!